Welcome to Gifts "From Heart" for Europe. Thanks for visiting our internet-pages. We deliver your Christmas gifts to all European countries. Please place your order as soon as possible to guarantee delivery before Christmas. Thank you! 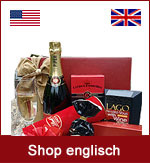 We ship all gift baskets europewide! 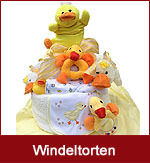 At www.gifts-europe.com we offer a wide range of gift baskets, hampers, gifts, baby gifts, diaper cakes. We provide Gift baskets like Gourmet gift baskets, wine gift baskets, chocolate gift baskets, tea gift baskets, coffee gift baskets, baby gift baskets. For Business we offer a wide range of corporate gift ideas to impress and induldge clients, business partners and employees. Especially at Christmas time our Christmas gift baskets will send your seasonal greetings to business partners, family and friends and loved ones. All gift baskets will be shipped as shown on our photos, wrapped into shrink wrap and Zello and decorated with a beautiful hand tied bow. We are looking to create the perfect gift for you and love to be at your service through our online-shop, via fax, phone or mail. We love to be at your service! Gift Basket Service "From Heart"